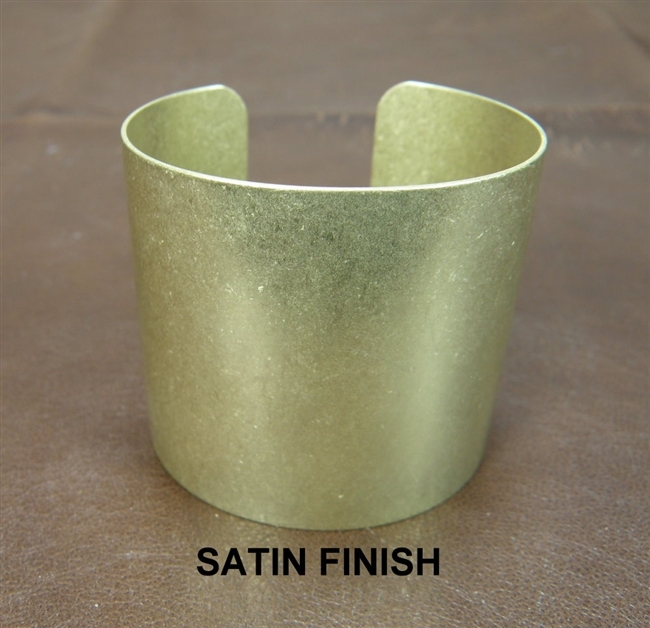 Brass cuff bracelet blanks, each blank is made from solid 20 gauge brass. Each blank measures 2" x 6" (2 x 6). Handmade right here, in our Veteran owned and Family operated shop! These are tumbled to a beautiful silky satin finish. They are ready to wear or decorate. Satin blanks are only availible preformed to the bracelet shape. These are blanks meant to be used as a base for your project; use them with polymer clay, decoupage, corsage blanks, wrapping with leathers, fabrics or ribbons, decorate with alcohol inks, glue beads and/or embellishments onto them, use for wire wrapping, paint them or do as I do....use them as a base for bead embroidery! The possibilities are endless!